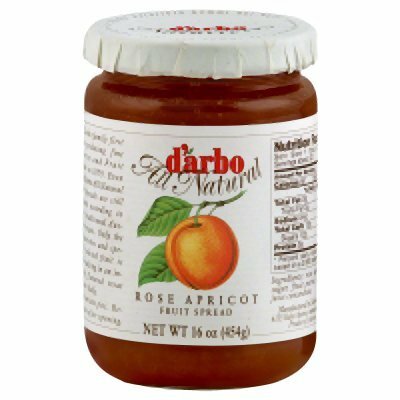 Delicious fruits that have been selected with special care, together with a high fruit content of 55 percent 40 percent orange, make Dario All Natural preserves a real taste sensation at breakfast time. Dario All Natural preserves are based on an old family recipe. Then, as now, we use only high quality fruits gently heated and stirred. This helps preserve the natural fruit aroma. fruits, sugar, concentrated lemon juice and the gelling agent pectin are used to make our All Natural preserves. We do not add artificial colorings or preservatives to our All Natural preserves in fact it is prohibited by law. If you have any questions about this product by d'arbo, contact us by completing and submitting the form below. If you are looking for a specif part number, please include it with your message.